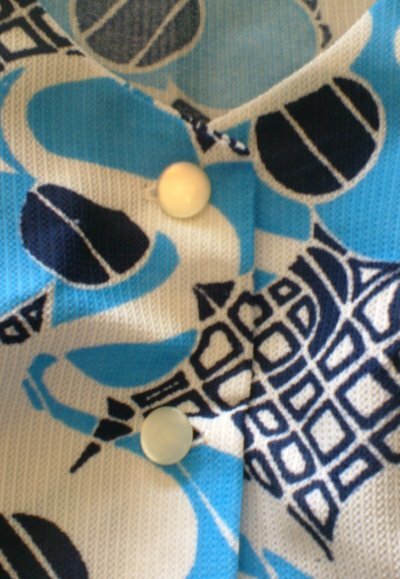 Vintage 60s button through blue flowered shift. 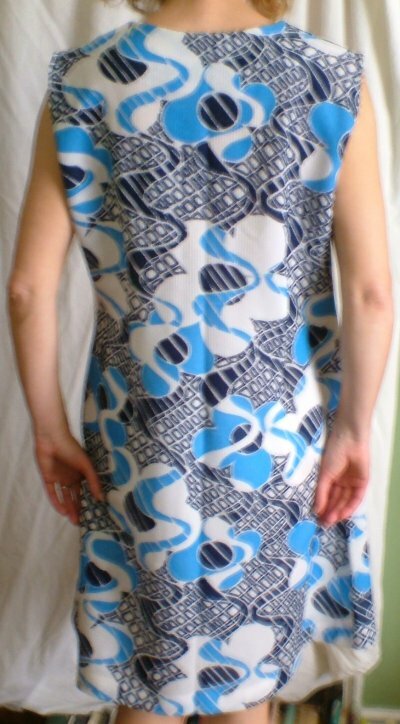 Lovely hand made summer dress from the 1960s which can be worn loose or belted, or as a pinafore dress. 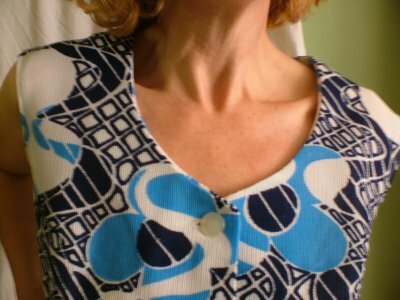 It fastens with five pearlised buttons from the neck to the waist and has a taped hem (cannot be let down). 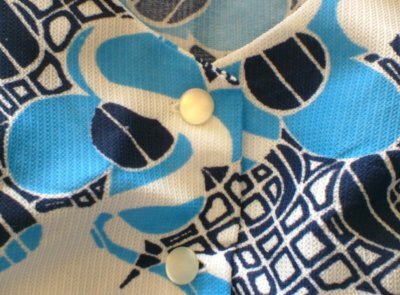 It's made from a textured, man-made fabric with a very typical sixties pattern of swirly flowers; the colours, however, being blues on white, make it easy to wear. 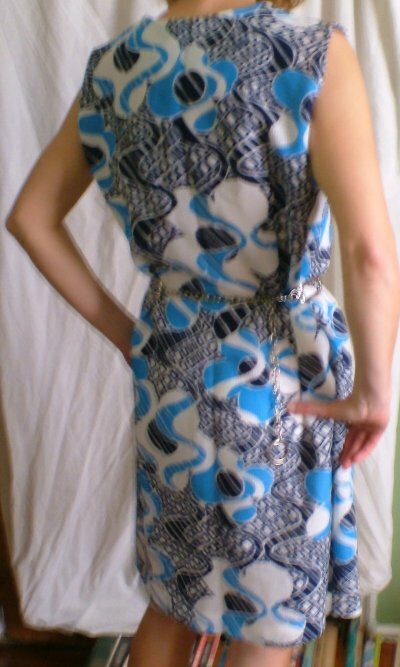 It has a round neck, is sleeveless and falls to the knees to show off your summer pins! In near-perfect condition - there is a small mark or fault on the back, not visible in wear - this is a loose-fitting style and would comortably fit up to about a UK size 14-16. Approximate measurements are: bust (measured under the arms), 42 ins/107 cms, length 38 ins/96.5 cms.